Roper Photometrics High Performance CCD Camera System for Microplates . New Life Scientific, Inc. This is an excellent condition CCD camera. It has not been tested but came from a working environment. 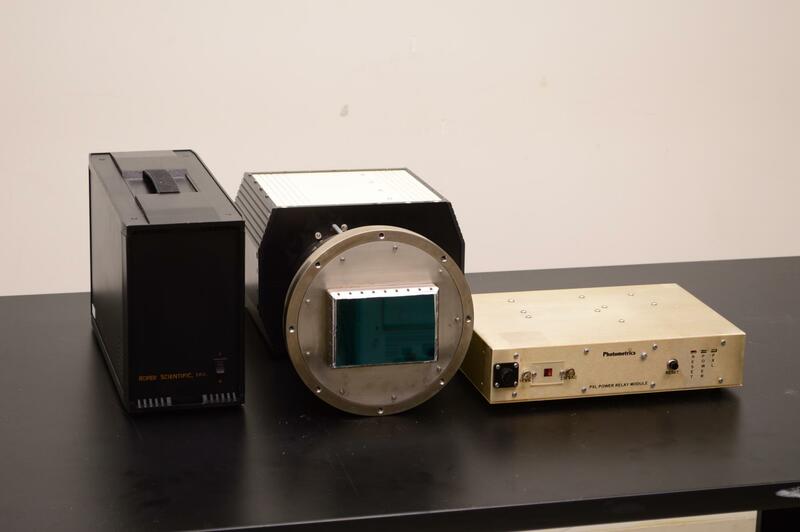 It has a very large lens on it designed to capture microplate images. It was cryogenically cooled as well. It is extremely heavy and doesn't have any seen physical damage. The exact model is not known as we could not find any labeling on it. It came from a Perkin Elmer Lumilux system. The controller is included and the PXL Power Relay Module. Please review the images for additional details.